Alibaba Group Corp, the Chinese e-commerce behemoth, is looking to leverage its global investments, especially those in South East Asia region, to offset risk from a slowing Chinese economy and trade risk at home turf. “We are committed to globalise our business,” said chief executive officer Daniel Zhang, on a post-earnings conference call on Wednesday. “One of the key regions we will stay focused on in the near-term is Southeast Asia, which is the fourth largest region by GDP, after the US, Europe and China. It has over 650 million in population that is relatively young. Online shopping penetration still at low single-digits," said Zhang. A trade war of sorts is brewing between the US and China, casting black clouds on business plans of Chinese firms with the US, and vice versa. On Tuesday, at least 20 firms in China narrowed their earning forecasts for 2019, according to Bloomberg. Despite headwinds, Alibaba posted robust earnings for the December quarter, beating market expectations on the back of growth in its ‘cloud’ business and a one-time accounting gain. Overall revenue at the firm group grew 41 per cent year-on-year to $17 billion, which includes 40 per cent higher revenue from the core e-commerce business ($15 billion). But cloud computing, where Alibaba has made long strides only recently, stole the show. Growth in the vertical was 84 per cent, as revenue climbed to $944 million. Net income was 37 per cent higher at $4.8 billion. 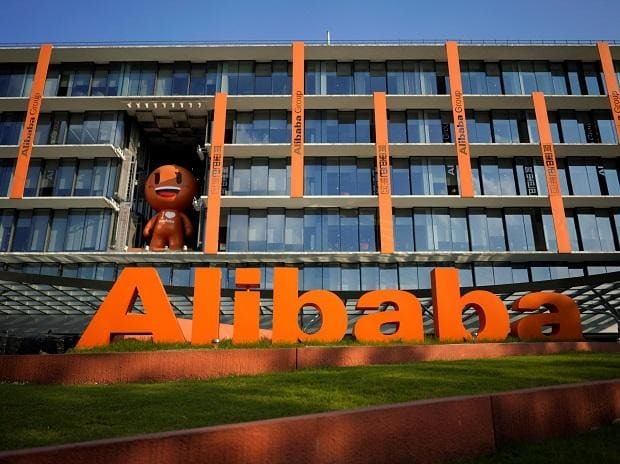 Alibaba controls about 60 per cent of China’s e-commerce market (about 700 mobile MAUs) through its ventures Alibaba.com (B2B marketplace), Taobao (consumer facing B2C platform), and Tmall (that combines parts of online and offline retail). It also operates online payments app Alipay, owned by subsidiary Ant Financial, besides a number of other business units. Over the years Alibaba has entered, or has made strategic investments, in other geographies, especially close to home. In india, Alibaba has invested about $2 billion, majorly into Zomato, BigBasket, Snapdeal, Paytm Group of Companies. After evaluating launching e-commerce operations in India, Alibaba instead invested in Paytm Mall (in partnership with Paytm founder Vijay Shekhar Sharma)— a marketplace modelled on Tmall. Alibaba, together with Ant Financial, is the majority shareholder in Paytm Mall. Alibaba also has a controlling stake in Lazada, the top e-commerce site in South Asia catering to Malaysia, Singapore, Indonesia, Vietnam, Thailand, and the Philippines. “We have executed robust marketplace core commerce probability as measured by adjusted EBITA of US$7.9 billion growing 31 per cent year-on-year. This allows us to invest in the strategic areas for the long-term prosperity.. areas include(ing) cloud, logistics, new retail, digital entertainment, local consumer services and globalisation,” said Zhang.